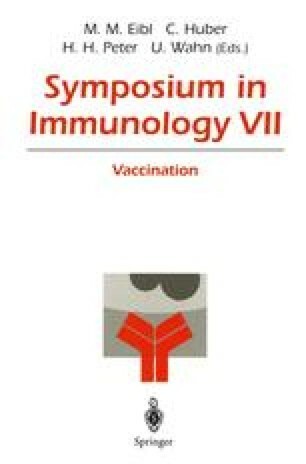 When the National Institutes of Health (NIH) decided in 1994 that there was insufficient scientific evidence to justify progression of human immunodeficiency virus (HIV)-1 envelope-based acquired immunodeficiency syndrome (AIDS) candidate vaccines to phase III efficacy trials , the outlook for future AIDS vaccine research appeared to be dim. Equally low spirits could also be observed at this time in other areas of AIDS research. It has been 10 years since HIV-1 was identified as the causative agent of AIDS [2,3], yet the pathogenesis of the disease was still not fully understood and treatment of HIV infection was not available. Since then, tremendous scientific progress has been made. For example, we now know that there is no true latency in the course of HIV-1 infection; even in the so-called asymptomatic phase of the disease, large amounts of virus are produced and constantly eliminated by a potent immune system [4,5]. In addition, HIV-1 mutants with the capacity to antagonize T cell functions have been identified , a finding which may help to explain why the immune system eventually loses control over the HIV-1 infection. Another important observation is the resistance of CD4-positive lymphocytes to infection with HIV-1 following stimulation of these cells with anti-CD3 and anti-CD28 . This was found to be due to a reduced expression or absence of chemokine receptors , now known to be the long-elusive HIV-1 entry cofactors [9–12]. Such HIV-1-resistant, CD4-positive lymphocytes may be important tools for both immune reconstitution and gene therapy approaches in HIV-1-infected subjects. The development of combination therapies employing inhibitors of both reverse transcriptase and HIV-1-specific protease has been one of the most important advances in AIDS research. These treatment regimens have been shown to keep the viral load in the circulation at undetectable levels for a prolonged period of time [13,14]; if these preliminary results can be confirmed in larger clinical trials, it appears that for the first time a mode of treatment, although expensive, might be available.